Many people started raising their rooftops (roof garden) because the farmers were using the chemical fertilizers and chemical pesticides to harvest vegetables. Most of the people are suffering from chemical substances that are available in the market for greens and vegetables. In this situation, greens and vegetables in the backyards in the towns are looking to grow in the organic system. The government horticultural division and private companies are also doing this. 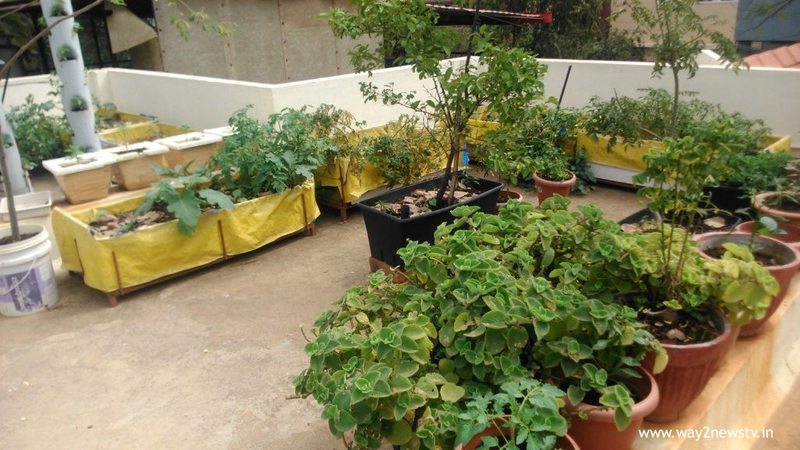 The Agri-Horti Society in Hyderabad, Nampally, often trains people on Roof Garden. Roof Garden 'wind' is now on the road. Modern technology is available to cultivate greens, vegetables, vineyards, flowers and fruit in a small area on the tablets. According to the horticulture officials, the family members of the family will have the necessary greens and vegetables if 50 square yards are in place. 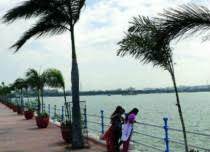 The horticulture commissioner L. Sarkar said the government (horticulture) had taken a new scheme to ' Venkatram Reddy said. Horticulture Department offers two types of 'kits' to the people on the basis of their location on the tablets. The kit 'A' is given for two thousand rupees (including soil Rs. 3000 / ). Kit 'B is given for 1400 rupees (including soil 1900 rupees). These kits contain sylpiline covers, millet, saplings, larvae, vaginal, tools-kurfi, sequencer, small sprayer, shower, hand bag). The roof garden is sprinkled with spinach, methi khari, coriander, chukkakura, gongura, bachali, ashtakara, mint, banda, eggplant, tomato and other crops.